Insurance is a massive industry and many people feel that it is simply too complicated to get into the whys and wherefores of small print. It is for this reason, that many just accept the cheapest or the easiest insurance quote, without being too informed about what they are purchasing. This is not always the most sensible course of action; insurance is an important investment (and is not cheap). Most people would not dream of spending vast amounts of money on a car, house or even holiday without checking what is and is not included, so why do it when buying insurance - expensive in its own right and also protection against anything going wrong with the product itself? When considering insurance, there are two main areas to think about - what is protected and what you are actually buying. In other words, pitfalls to avoid, and scams to watch out for. They are two very different areas. Pitfalls are simply areas of small print which you may not be aware of, while scams are illegal and fraudulent. But either could lead to you losing money you had not banked on being parted from if you are not careful. The best, and only way, to avoid insurance pitfalls, is to read the small print. It may not be exciting and it may not be fun, but reading the small print is the only way to make sure you know what is protected in the event of having to make a claim. 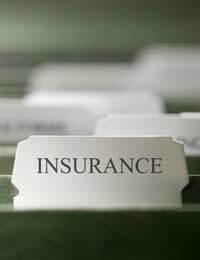 All insurance products should be protected and regulated by the Financial Services Authority, and, as such, come with a key facts sheet. This key facts sheet should, in essence, provide you with an easy to read summary of the key points of your product. Having said that, it is still wise to read the full terms and conditions as you can never then complain that you did not know what was covered or not covered. A common example of an insurance pitfall is winter sports. This may seem obvious as travel insurance usually does include an actual question about winter sports. But if it does not, and you don't read the small print, you could find yourself in a tricky situation should you injure yourself ski-ing. Similarly, you may refuse cover for your mobile phone, believing it is covered under the house contents insurance. But when you drop your phone and it breaks, you could be left with a hefty bill if you were actually incorrect. Scams are more cut and dried - and generally, if you are in danger of falling for an insurance scam, you are set to lose your money at the beginning and not when you make a claim. But as a rule, if there is no sign of any FSA coverage, then you should be concerned. Scams can usually be avoided by being as vigilant is possible, and, if you have any doubts whatsoever about the legality of a product, not buying it. The internet does make it easier for scammers to take advantage of people looking to buy insurance. Always deal with reputable companies, and always make sure you know which company is the underwriter. If you have suspicions and haven't heard of the companies involved then trust your judgment and do not buy - it really isn't worth it for a few pounds. Insurance should not be skimped on - it is simply far too important. Whatever you are insuring, the fact you are doing so in the first place suggests it is something worth protecting. Therefore, when doubts are raised in your mind, do the sensible thing and look somewhere else. If the insurance does not suit you, it does not matter how cheap it is. You might think that £50 saved at booking is good news, but when you are on a mountain, unable to access medical help because your insurance does not cover your activities, you may well think better of your initial decision.